Grab One While Supplies Last - Pedi Smuter for All Your Callus Needs! BACK IN STOCK and ready to ship - the immensely popular PEDI SMUTER! 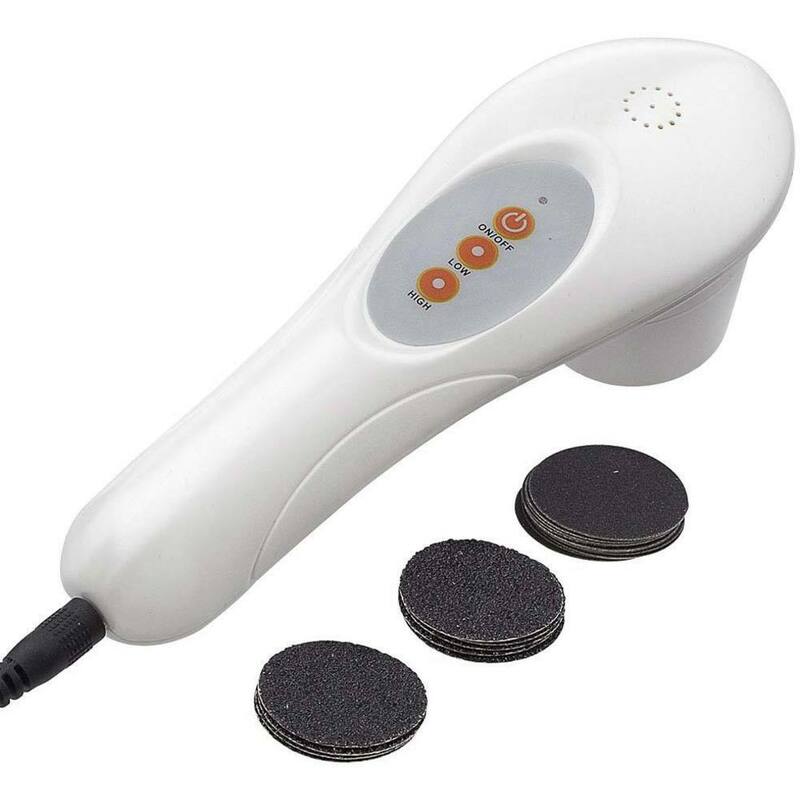 PediSmuter Professional Electric Callus Remover is a lightweight electric foot care device designed to shave and smooth away dry skin, calluses, corns, and warts in just minutes. It has two precision speeds: low speed for rough dry skin and the high speed for tough calluses. Use it on heels, soles, even on toes. With 3 types of hygienic disposable filling pad grids to choose from, professional nail tech can work less with faster results. It makes customer’s feet feel smooth and soft to touch. 110V/240V compatible. Item has a warranty and cannot be returned or exchanged. Use the coarse disposable filling pad to remove heavy calluses, a medium pad for rough dry skin and fine pad to buff and polish the skin surface. Peel off the disposable pad and stick it on the PediSmuter Electric foot file. Turn the PediSmuter “ON” choose either “HIGH” or “LOW” speed. Put the PediSmuter on the callus to remove. After the callus has been removed, rinse the foot with water. Then, wipe dry the foot. For better result, apply a foot cream after the service. Disposable refill pad must be peeled off and replaced after every service. Stock up now, while they are available! Smoothest Feet On The Beach! Send your clients into the world with the smoothest feet in town! They wont be disappointed when you pull out this magic tool. 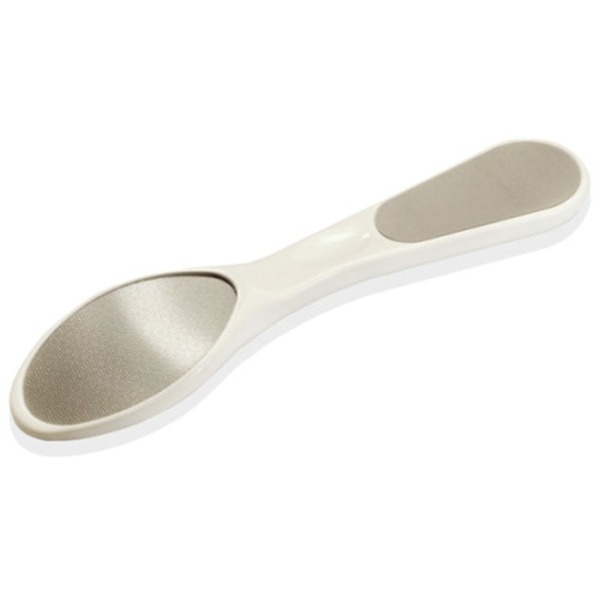 The Callus Reducer by SEKI EDGE had a ergonomic handle design, coarse abrasive side reduces the callus, fine abrasive side smooths out the callus in all directions. Add everyones favorite callus remover gel - BE NATURAL™ Callus Eliminator™ for even greater results! Be Natural Callus Eliminator is the fast and effective solution to even the toughest of calluses. Callus Eliminator® saves you time and effort by doing the work for you! Callus Eliminator® actually breaks calluses down in just minutes. Then simply file them away. No cutting! Dermatologist, and podiatrist tested! What Provides 900% Profit? Callus Removal Services! As a nail technician, one of the most essential and most profitable add-on services you can offer to your clients is Callus Removal. Used to make the rough, hard skin on the feet softer and easier to remove, just a small amount of product goes a long way to ensuring client satisfaction and repeat business. No matter whether it is sandal or sock season, your clients absolutely HATE the calluses and rough edges on their feet. The feeling goes beyond aesthetic reasons, as dry cracked do not feel comfortable scratching under sheets or in shoes. By offering this service to your clients, you are not only making a significant profit, but you are also helping your clients feel better. So how does the Callus Remover work? The gels are formulated with ingredients such as salicylic acid, lactic acid, and alpha-hydroxy acids that, when left on the skin for 3-5 minutes, soften the callused and rough areas enough that the skin can be flaked off with a foot file. The gel accomplishes in a very small amount of time what all the pumice scrubbing and foot file sanding could probably never accomplish. The tools for a successful service are Callus Remover or Eliminator, gloves, paraffin bags, and a pedicure rasp. After applying a thin layer of gel to only the callused areas, put the client's foot a paraffin bag and have them put their foot back into the foot soak. The combination of the heat and the pressure from the water will help the gel penetrate more thoroughly. After a maximum of 7 minutes, remove the foot from the paraffin bag and use the rasp to flake off the dead skin. Its that simple! Typically, salons charge between $5 - $10 for this add on service. With a treatment cost that can be as low as $1, which includes all of the recommended supplies, you can make a whopping 400% to 900% Profit per service! Your client will experience immediate gratification in the form of petal-soft feet and you can experience a significant boost to your bottom line! Click HERE to see the Callus Remover and HERE to see the Callus Eliminator products that we have available.